This is a golden age of videogames. More than ever before, people from all backgrounds are making games using freely accessible tools that industry pioneers of the ’80s and ’90s could only dream of. The only problem now is information overload; with more games than anyone could ever process, what are you to do? It’s that time again, the time when PCGamesN returns to help you cut through the noise, and tune your signal into some of the most intriguing experiments in the indie scene, one enticing image at a time. It’s been a while, so our apologies for the break – but we’re back now with the latest crop of indies to check out, below, and don’t miss our last entry from February 25. These games are picked from the most recent roundup on the Twitter #ScreenshotSaturday tag, but if there’s a better trailer available than the latest animated GIF shown, we may use that. Any or all of these games could be the next big thing. Here’s some of the best indie hits of recent years. For all the games we have set in World War II, precious few have attempted to capture the realities of life under the Third Reich. 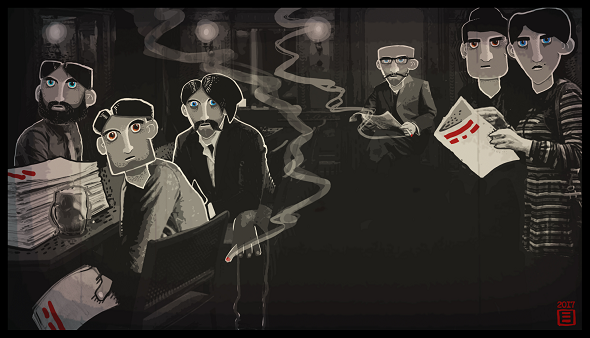 Through the Darkest of Times is a strategy game by two seasoned Berlin-based developers who are attempting exactly that – it’s about leading a resistance group from Hitler’s rise to power in 1933 all the way through Germany’s surrender in 1945. Players will plan their group’s actions, assembling a team of procedurally-generated members who each have their own strengths, weaknesses, and beliefs. The goal is to maintain morale, encourage the local populace to fight against its oppressors, and keep from getting caught by the gestapo. You’ll collect resources and plan as events in the game reflect the true history of Third Reich Berlin. Yeah, sure, you could get all caught up in Arthurian myths, worrying about what that weird old wizard Merlin is up to or how you’re going to impress the Lady in the Lake. But Arthurian Legends is mostly about stabbing things in the face. Scolaro Games’ throwback FPS is a tribute to classic Build Engine games like Blood and Redneck Rampage, back in the days before 3D models had replaced the grainy digitized photographs used to make sprites and “gibs” were something everyone knew how to pronounce (for the record, it’s a soft G, as in “giblets”). It’ll feature three chapters filled with the kind of secrets that characterized the genre in the 1990s glory days. Scolaro promises an adventure that lets you “kill enemies in the face,” and the retro visuals give it the look of a Thomas Malory book that’s been boiled down to the Black Knight scene from Monty Python and the Holy Grail. We’ve covered Pathologic 2 before, after indie publisher tinyBuild partnered with Ice-Pick Lodge last year on the complete rebuild of their strange and fascinating original game, Pathologic. But I thought it was worth another mention as development continues to move forward on this strange project. 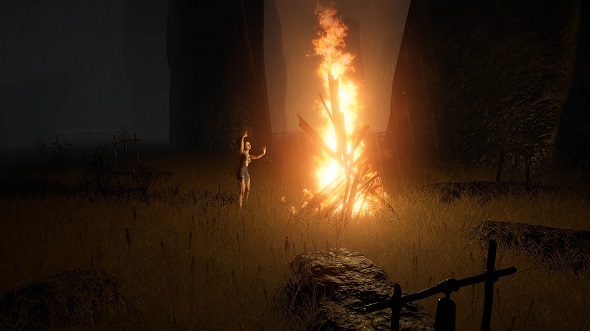 Pathologic was an early entry in the open-world survival genre, infused with creepy atmosphere and horror elements. It’s about trying to save the inhabitants of a town – and yourself – from a mysterious and deadly plague. But you’re far from a straightforward hero in this story. Instead, you come into conflict with the inhabitants of the town as you all desperately scramble for survival and, hopefully, a cure. Not everyone in town has the same idea about how to handle things, either. Ice-Pick is completely rebuilding the game in Unity, and the visuals have been significantly updated with Pathologic 2. It has a Steam page up already, so you can follow or wishlist the game if you want to keep up to date on development. A rhythm game about vaporizing zombies with the power of metal probably doesn’t need me to sell it to you, but just in case, check this out. You’re in a convertible on a post-apocalyptic highway, shooting at pursuing undead hordes by button mashing along to cheeseball metal songs. Right now, Headbang Club’s Double Kick Heroes has 17 levels to play, but it also includes a Community Level Editor that allows you to import your own tracks into the game. If plowing down the road in a red convertible while taking potshots at a demonic T-rex while bopping along to Iron Maiden sounds like fun, you can pick the game up in early access now on Steam. Here’s one I can easily see myself losing many zen-like hours to: Masteroid is a modern spin on the classic arcade game Asteroids, adding modern touches like resource scavenging and equipment upgrades. It’s got a lovely and simple aesthetic, and allows you to play more or less how you want. 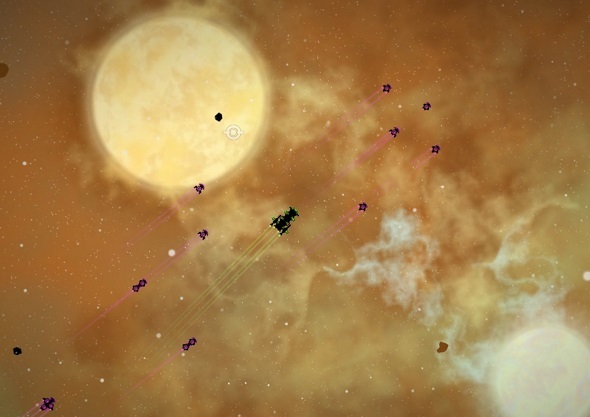 You’ll mine asteroids and bring resources back to a space station, where you can use the profits to kit out your ship. That’ll let you explore more sectors and start taking on the game’s rival factions. It’s a simple loop, but sometimes that’s just what the space doctor ordered. Masteroid is available over at itch.io, and it’s currently 10% off. It’s still in early access, but it’s close to completion and very playable as is. That’s it for this week. Got any favorites you want to share? Post them in the comments below, and if you’re a developer and want to see your game here?Tweet about it on #ScreenshotSaturday.